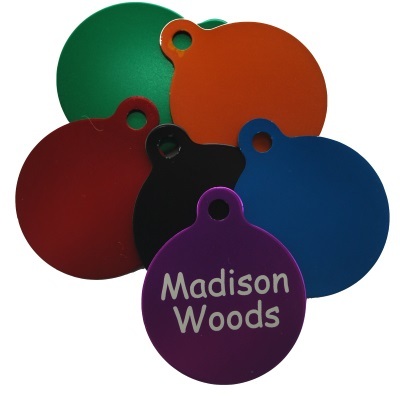 SKU: gi-tag-large-black Category: Tags - bags, animals, key-rings etc. 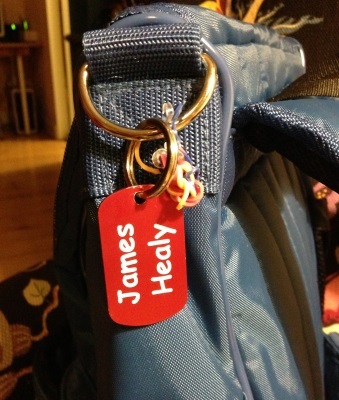 A coloured Aluminum GI tag with white text. 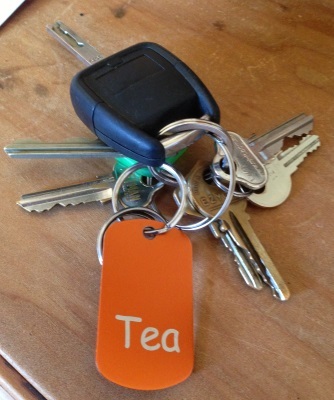 Or you can decide to have a 61cm long ball chain which makes it perfect as nametags for businesses, schools, stall holders at markets – I use one myself when I got a stall at a market. 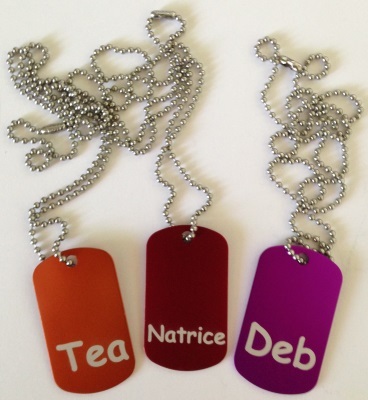 And it is taking off as a funky necklace for kids/teenagers – they love it – you can even have their name on one side and your mobile no on the other – perfect when the kids are out and about. Tag is 49.78mm high and 28.7mm and comes with a ring – if you want the chain instead please let us know in notes when you check out.